"A provocative history . . . helps us to understand why the Arab spring is so important and valuable." --David Ignatius, National Interest In the twentieth century, while fighting a common enemy in Europe, Britain and France were locked in a clandestine struggle for power in the Middle East. 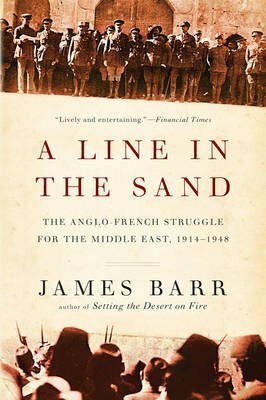 From the first agreement to divide the region between them to the birth of Israel, A Line in the Sand is a gripping narrative of the last gasp of imperialism, with tales of unscrupulous double-dealing, cynical manipulation, and all-too-frequent violence that continues to the present day.